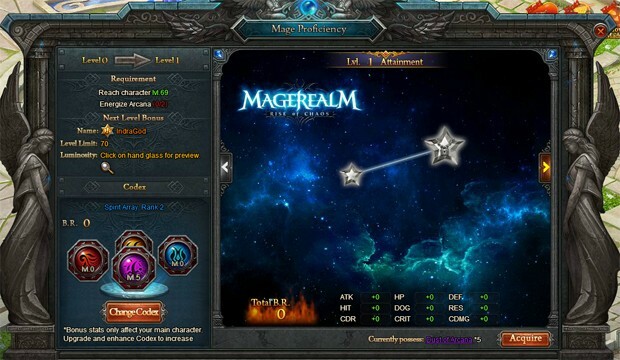 Magerealm is excited to introduce the brand new Codex System! With 4 series of Codex to choose from, customize and evolve them to unlock their true potential! Build the ultimate Magic Array to empower your team to new heights! 1. 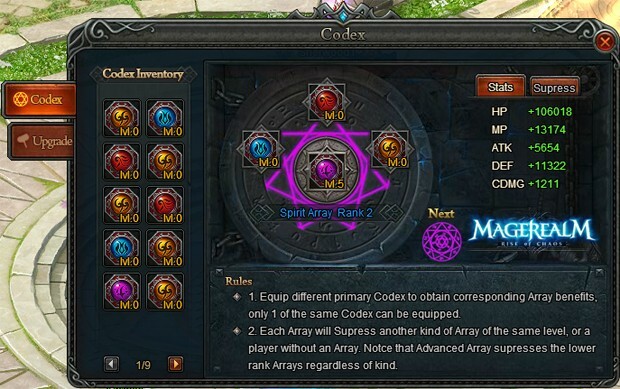 Equip different primary Codex to obtain corresponding Array benefits, only 1 of the same Codex can be equipped. 2. Each Array will Supress another kind of Array of the same level, or a player without an Array. Notce that Advanced Array supresses the lower rank Arrays regardless of kind. 1. Unlock additional stats when Codex upgrade level reaches 5, 10, 15, and 20. 2. 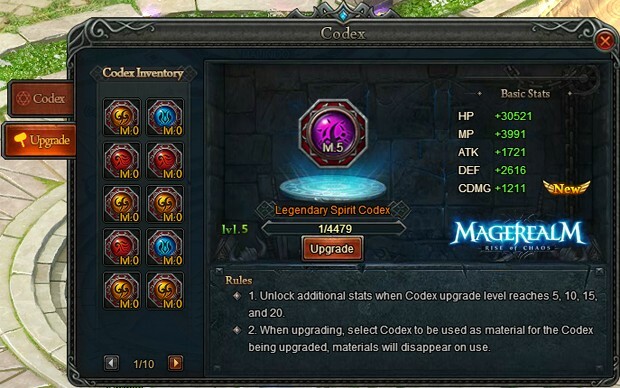 When upgrading, select Codex to be used as material for the Codex being upgraded, materials will disappear on use. 1. Two Codex of the same type and quality can be combined to increase enhance level. 2. Enhancing Codex will increase Resist stats and also increase Basic Stats by a percentage. 3. Selected Codex used for material will disappear when enhancing, and its upgrade EXP will transfer to main Codex.